Since establishing YMDH – which stands for You Make Daddy Happy – in 2018, Jason Lee has been guiding his brand with a sense of individuality, interweaving street fashion with historical symbols to redefine contemporary urban styles. 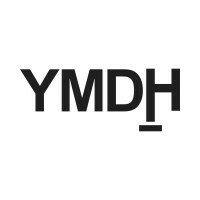 The brand essence of YMDH rests on the journey of searching for infinite possibilities and novelties on the street, positioning itself as an audacious explorer. A fashion graduate of the Technological and Higher Education Institute of Hong Kong (THEi), Lee won “Best Footwear Design Award” at the Hong Kong Young Fashion Designers’ Contest (YDC) 2017, after which he launched a capsule collection with renowned Hong Kong retailer i.t. His sneakers and totebags quickly sold out and received very positive customer feedback.